At Santa Rosa Family Dentistry, we combine old-fashioned values with the best in modern dentistry. Our team of experienced dental professionals wants you to feel confident that you are receiving the most advanced and effective dental care available. To that end, we’ve assembled a friendly and knowledgeable staff that knows the best dental technology and can offer a comprehensive menu of dental treatments under one roof. Our commitment to excellence shows in everything we do, and once you experience our nurturing care, you’ll understand why so many of our first-time patients and their families find their dental home at Santa Rosa Family Dentistry. Good diagnostic tools are essential, and that is why we use digital X-rays instead of traditional film X-rays. Our radiographic equipment is capable of producing panoramic images, which show all of the upper and lower teeth in one X-ray. These digital images require no development time and can be viewed immediately on monitors in our exam rooms. They also produce much less radiation than conventional X-rays for added patient safety. Intraoral cameras help us view decay, tooth wear and gum recession in hard-to-reach areas inside the mouth. Another effective piece of technology is our soft tissue laser, which helps us treat periodontal disease and perform crown lengthening procedures precisely and in a less invasive manner. The goal of your Gulf Breeze, FL family dentists is to make seeing a specialist is a rare event. Committed to good communication and patient education, we enjoy teaching our patients about preventive measures that can help them avoid extensive time in the dental chair. As part of our efforts to make your dental visits as efficient and convenient as possible, we have an in-house dental laboratory and lab technician. 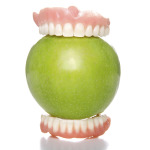 This unique feature of our Gulf Breeze, FL, dental office allows us to design full and partial dentures that fit snugly and look natural without the time and hassle of sending them to an outside lab. Our patients love the convenience of faster service and can even obtain minor adjustments while waiting. Our skilled ceramist can also create dental implant restorations and make adjustments to their size, shape, and color much faster than an outside laboratory. Today’s Dentistry With Yesterday’s Values - Visit our Gulf Breeze Practice Today! For nearly a decade, our Gulf Breeze, FL dentists have helped Gulf Breeze, Pensacola, and Navarre patients regain their quality of life and smile with confidence. We welcome walk-ins and offer same-day emergency care, and we’ll also file your insurance claims for you. To find out which treatments best suit your oral health needs, contact Santa Rosa Family Dentistry today to request your appointment. We look forward to your visit! If you liked or loved us, let us know! 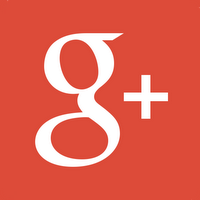 Leave us a review on Google+ or Yelp!